The Human Connectome Project is a collaborative research and imaging investigation by Laboratory of Neuro Imaging (LONI) and Martinos Center for Biomedical Imaging at Massachusetts General Hospital into the fibrous connections, major pathways, and circuits in the brain, and compiling that neural data to create a connectome map. Color indicates unique pathways or highways of connections running throughout the cortex. 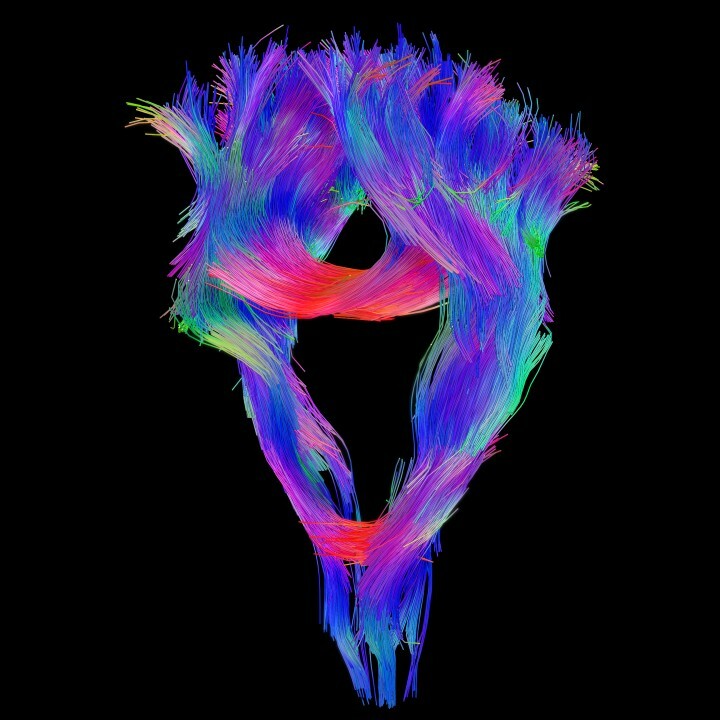 These connectome images are so very beautiful. They remind me of thread, aurora borealis, and huge, thunderheaded storm clouds.